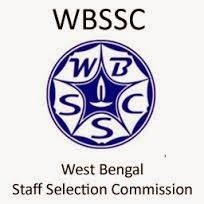 Selection of the eligible candidates will be based on through the written examination followed by physical measurement Test and Interview test which will be conducted by WB SSC. Official admit card will be hosted online form 19 march 2014. so all candidates who filled application form they can download there ASI Admit card from 19 march 2014 for ASI exam 6 April 2014. A direct link will be posted here for Admit card download. Results will be announced of written exam in the month of May 2014. After that a physical measurement test will be held in the month of June 2014. The candidates must not have knock knee, flat foot, varicose vein, squint eye. The minimum vision should be 6/6 with or without glasses. They should possess high colour vision and should not be colour blind. The candidates should be of good mental and physical health and free from any physical deformity likely to interfere with efficient performance of their duties. was published for the recruitment of 246 posts of AIS Excise. After the selection procedure these ASI will b appointed in pay band 3 , pay scale 7100 – 37600 and grade pay rs 3200 .
is there any field(running etc.) test in the recruitment after written exam ? is there any field(running etc.) test after the written test ? quistion papers to be sett in ? bengoli or English ? wat wil b the syllabus for written exam.....? What is the possibility of selection except west bengal candidate ?